The Honduran government has been working hard to drastically fight the gangs that have taken over whole sections of the country’s major cities and who are responsible for the country’s high homicide rate. The homicide rate was 91 per 100,000 people—the highest in the world (by comparison, the homicide rate in the United States is 4 per 100,000 people). The Honduran government had created a special para-military police unit called the tigres (Tigers) to deal specifically with the gangs. In Honduras, the gangs are virtual mercenary armies complete with organization networks, semi-automatic weapons, and terror squads. It was because of the gangs that hundreds of thousands of Honduran children and their families fled through Mexico to the United States. The tigres have to have at least a high school education, and are carefully trained in anti-terror techniques. They are paid 30 times more than the average policeman, and they wear face masks to hide their identities to prevent the gangs from retaliation against their families. The tigres are being trained in part by the U.S. Special Forces (Green Berets), and the United States is supplying the tigres with ammunition, uniforms, helmets, radios, body armor and food. The U.S. is not supplying weapons, and the U.S. Special Forces do not participate in any of the raids against the gangs. The U.S. Special Forces is keeping as much of a low profile as possible. Last year, the U.S. government became alarmed enough about the large flow of refugees from Honduras as well as El Salvador and Guatemala that it has been working to help the Honduran government fight the gangs. If the gangs’ power and influence are curtailed then Hondurans would not have to flee their country. So far, the efforts of the tigres has brought down the country’s homicide rate by 30 percent. At least, it is a start. In another news item, the Honduran government intends to plant 3,000 acres of bananas. Bananas are Honduras’ second largest export behind that of coffee. Most of Honduras’ banana export goes to the United States, while the remainder goes to other countries in the Americas and to Europe. Bananas are a very lucrative crop on the world market. Countries like Guatemala and Costa Rica produce more bananas than Honduras. Costa Rica produces 90 million cases for export, and Guatemala produces 100 million cases for export. 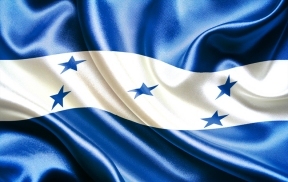 Honduras currently produces 40 million cases for export. Now, the Honduran government, through Foreign Trade Agency of the Ministry of Economic Development, intends to bring new momentum to growing more bananas for the international market so that Honduras might become the largest exporter of bananas in Central America.